What an awesome jumping display we saw with Native River in the Welsh National. I was confident he had the ability but it was the weight that worried me. Once he kicks din the home straight though I knew he was home. I hope if you read the blog on Boxing Day you took my advice and got the price. I got a very nice 6-1. 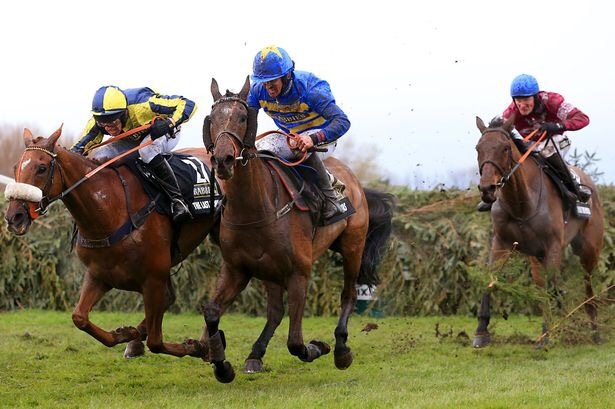 On to today and it’s just shorter blog as I’ll write a more detailed one for the Cheltenham meeting tomorrow where we see what ITV racing will look like for the first time. COURT MINSTREL (3.00 NEWBURY) is where my money goes today. He has always been a smart horse and is even better on genuinely good ground. He won’t get it quite that good today but he has won on good to soft before. Interestingly he hasn’t run in a Class 2 handicap in over a year and a half, he won when he did off a mark of OR145. He is on a mark of OR149 today and has previously beaten ROCK THE KASBAH off this mark in a class one hurdle race. In two other class 2 hurdles see has also won. He’s carried a big weight to victory before too and Im expecting a big run off top weight today. I hope everyone had a very merry christmas! It was certainly a day of food and drink in my household. Last week’s selections were awful, apologies to everyone who followed my advice. There are times when the form, the handicap system and my thoughts just don’t add up. CORRIN WOOD is certainly a monkey, he was miles out of it and then stayed on better than anything to claim fourth; so much talent. I’ve done quite a bit of studying of the numerous cards that is the feast of Boxing Day and will hopefully have found one or two. One thing for definite is I recommend getting on NATIVE RIVER today ahead of his tilt at the Welsh National tomorrow; I can’t see the 6-1 being around near the off, and with no penalty he’s effectively 8lbs well in and looked a smart horse last time. I could obviously highlight all the short price horses today like lots of other ‘tipsters’ will do. 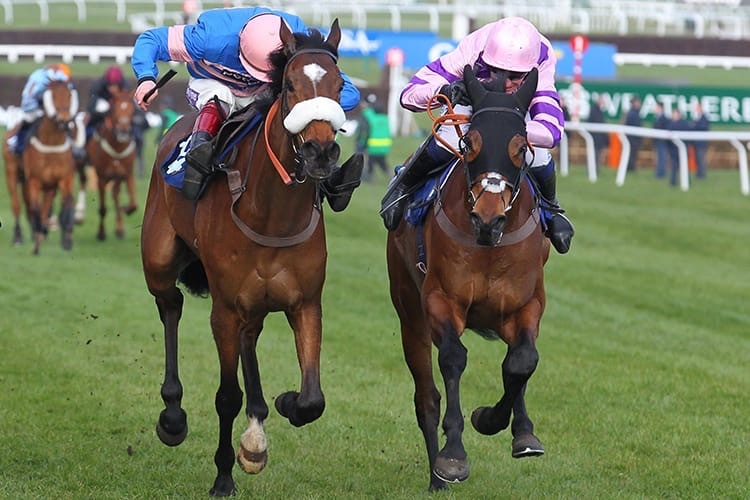 We all know that from THE NEW ONE, CUE CARD, MR MIX, DUSKY LARK etc there are some winners, but not much value. So again, I’m looking to handicaps as I like to try and solve the puzzle and get some value. Kempton’s TV card kicks off in great style with a Novice chase. POKER SCHOOL seemed to run well through the fog last time and he has been raised 8lbs to a mark of OR125 and he could run another good race. GOLD PRESENT is certainly a topical selection and he won well at Doncaster last time so can’t be discounted. TWO TAFFS has lots of potential and an opening mark of OR138 for his chase debut indicates this. He should have given KRUZHLININ more of a race last time but the ground was against him. A return to good ground today and his potential is why he has my money on him. The Kauto Star noises chase is another belter to watch. FRODON looked very good last time when staying on to win the Caspian Caviar Gold Cup, and the Nicholls yard is quite bullish about him, despite a quick turnaround. If he reproduces that today then he will e hard to beat. MINELLA DADDY is ultra consistent with form figures of 22112. He stayed on well last time but couldn’t beat the resurgent REGAL ENCORE. AMORE ALATO is an interesting candidate, in his novice hurdle days he beat the likes of VANITEUX and wasn’t far off IRVING. Richard Johnson has a record of 120221 when riding him and he ran well to win on good ground last time. He certainly has the potential to be a good stayer on good ground. With Johnson’s record on him, the ground, and his previous novice form I’m on at a great price. As Ive said above the two big races of the day for me go to THE NEW ONE, who looks as as good as ever. While THISTLECRACK obviously has bags of ability and potential this is the first time he played with the big boys. CUE CARD also looked as good as ever last time and I think he will win. So, my next selection goes in the final hurdle race. The Hobbs/Johnson horse is well regarded and they have been waxing lyrical about his chances, he won well last time at odds-on at Ffos Las and he was chucked in the champion bumper last season. SOUTHPORT has done nothing wrong so far and is a lively outsider. You can also add the likes of INSTANT KARMA and DOESYOURDOGBITE to the notebook no matter how they perform today. I’m opting for MOSCATO, he was a decent stayer on the flat for Sir Mark Prescott and he has been steadily learning his trade in his past few runs. The ground will help and he has a great chance to finally get off the mark. I’m chucking VICENZO MIO in here too, he was a decent horse and has dropped a few pounds and could catch the eye today. The final race for the blog today is the best of the rest – The Rowland Meyrick chase. Wetherby is a stiff track and needs to be respected, I always look for course form and also form at Haydock as they are similar. YALA ENKI ticks the Haydock box after a run away success last time, he’s been raised 1olbs for that and it may stop him. The winner of the race for me is BLACKLION, he RSA chase win is by far and away the best form and he ran well behind NATIVE RIVER in the Hennessy. This easier race and his previous course win but him at the front of the market. YALA ENKI will set it up for him and I think DEFINTLY RED will run on for second. A cracking day – enjoy everyone. Take the hint on NATIVE RIVER for tomorrow too. Not much luck last week on the blog. ZIGA BOY was going well for along way but just couldnt match the others. MIA’S STORM was well in with a chance two out but died away, I think better ground and a flatter track will suit her. THOMAS BROWN was just poor, he was never in it! So we move on today. A couple of cracking handicaps at Ascot plus a few at Haydock. My first selection is not in one of the televised races. CAPTAIN CONAN has always been a smart horse and he is dropped seriuosly in grade today. He was third three years ago as favourite in the Tingle Creek behind SIRE DE GRUGY and he is a full 20lbs lower than that race today. His rating of OR139 is fair on what he has, or hasnt achieved since, but potentially that is a very low mark for a horse of his ability. He has won on soft ground and won on decent ground so that shouldn’t be an issue. The Long Walk hurdle is an intriguing race snd UKNOWWHATIMEANHARRY is worthy favourite and he looked very good last time. I cant see BALLYOPTIC reversing places. The main challengers come through the French Champion Hurdle form. Both PTIT ZIG and ALEX DE LARREDYA come with winning form from it and are the big dangers to the fav. The former got put in his place by the French horse last time, however, I think PTIT ZIG on a right handed track and on better grond will prevail today and an early 8-1 is a great price. The last race on Ascot’s card was formerly the Ladbroke and both JOLLY’S CRACKED IT and STERNRUBIN return again after their epic battle. Both are now on higher marks and I’m not sure they can repeat last year’s heroics. Especially with the former being off for a year. The race will be frenetic with STERNRUBIN, RAYVIN BLACK and UNISON going from the front. They could set it up for one off the pace, although STERNRUBIN as we’ve seen before could make all. However, I’m opting for DIEGO DU CHARMIL to bounce back from his disappointing run last time behind a few of these. He was sent out too early according to his trainer and he ran much too freely. He is suited by coming off the pace, like he did when he won the Fred Winter. He is 8lbs higher than that today but is on the same mark as his previous poor run. I think he still has bags of improvement in him and could run a big race at a huge price. I put up CORRIN WOOD the other week, and he is now over timber today and again, based on his previous form, he is on a very appealing mark. He beat BLACK THUNDER who was running off a mark in the mid 150s to win that day. His mark today is OR128 and could prove a real handicap snip. Last chance saloon today though! I was really disappointed with my selections yesterday. I really fancied the chances of COURT BY SURPRISE but again he just emptied when push came to shove. You get some roght and some wrong, and yesterday was a wrong day! Moving on to the second day of the international meeting and there are some cracking cards. The Caspian Caviar Gold Cup is the highlight and it will be intriguing to see if the very game and brave VILLAGE VIC can be successful again. He was a real handicap snip when winning this last year of a mark a full 22lbs lower. He ran another cracker again when just getting pipped by TAQUIN DE SEUIL last time. He will most certainly be thereabouts and will try and jump them into submission. BOUVREUIL is really interesting, he was ridden off the pace in the BetVictor but was staying on well. He will be ridden much more handily for sure today and he has a cracking chance. There are quite a few trends that go against VILLAGE VIC today including his weight and age. THOMAS BROWN has a crackimg weight and meets alot of the trends for this race. He has always looked a smart prospect and won well last time at Aintree and he really caught my eye that day. He has only been raised 3lbs and could run a big race. I really fancied ZIGA BOY last week in the Becher and he came to grief when brought down at the first fence. He runs again at Doncaster today at a track he is 2 from 2 at including on good ground. This chase is a drop in class to his last win here and he is only 4lbs higher than that race. NO DUFFER is his main danger but I think he is perfectly poised to tale this race today. The mares’ hurdle in the last at Cheltenham is a cracker and the Nicholls yard are quite bullish about the chances of JESSBER’S DREAM. She ran a few crackers last year and could be potentially a decent horse. Alan King has the favourite in MIDNIGHT TOUR but it’s his second string MIA’S STORM who catches my eye. She has won a couple of decent races at the end of last season and looked like she needed the run last time at Ascot. She continued to stay on though behind LIFEBOAT MONA who had flown away. She’s a very smart mare but it was the way my selection carried on towards the end that suggedts she has more to give. COURT BY SURPRISE runs at Doncaster in the 2:15. He ran well in snatches last week at Sandown when well fancied by some, including me! This shorter trip should suit more and he is definitely poised to win. He has won here before and on good ground and drops to a class 3 handicap so potentially could be on a nice mark in this class. It’s unusual for him tobe turned out so quickly. ITALIAN RIVIERA 2:50 DONCASTER is thriving at the moment and is unpenalised for a smooth success at Catterick last week. He could make it four out of four for this yard. L’AIGLE ROYAL 2:40 CHELTENHAM has hardly turned out for the Skelton’s yet. The return to this trip will help and previously he was a decent horse running behind both DEFINITLY RED and AS DE MEE. The ground will help and he could run a big race. Another successful week on the blog last week following on from KRUZHLININ the week before. NATIVE RIVER was very impressive and looks a really potential superstar based on last week’s success. Looking forward to seeing how he develops during the year. On to this week, another cracking card at both Aintree and Sandown. The Tingle Creek is the race of the day. SIRE DE GRUGY looked back to his best last time out and has won this twice and has a superb record here. UN DE SCEAUX is the favourite but I worry about his record first time out and think he now needs further. AR MAD is very interesting and has bags of scope. However, based on his last run, SIRE DE GRUGY gets the nod for me. The Becher chase is a hell of a handicap and there are lots of trends that descimate the field. Paricularly around the age of a horse. ALVARADO has been backed all week and has a great record here, but I’m not sure this is long enough and the ground will suit. 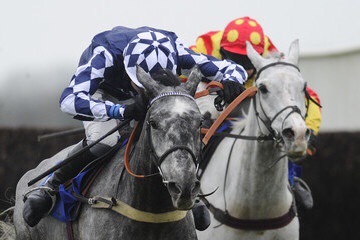 SILVERGROVE has lots of potential and shout be thereabouts after a decent run at Cheltenham last time. Alan King is starting to motor recently and ZIGA BOY, despite his age, ticks alot of boxes. He destroyed his rivals at Doncaster last year and if you can forgove the last two runs last year he has to have a chance. He’s warmed up well for this and he should be primed for a big run and I think this track will suit. CORRIN WOOD has always been a smart horse and lost his way considerably with Donald McCain. He ran back to his best last time when eventually caught at Cheltenham by ANTEROS. This race is a huge drop in class and he is very well handicapped. The 7-2 price isnt going to last long and that could ge real value. He should breeze this. FINGAL BAY is a very classy staying hurdler and his reappearance run was much better. This is a drop in class and despite his big weight he could and should be better than these. He is back on his last winning mark of OR148 when he won the Pertempts and that is surely his target this year. The claim from the jockey will certainly help his cause. Big run expected.